This charming roundhouse has everything you need within easy reach on the main floor, and a comfortable bedroom loft above with large closet and seating area next to the balcony railing. 452 sq. ft. interior plus 226 sq. ft. loft for 678 sq. 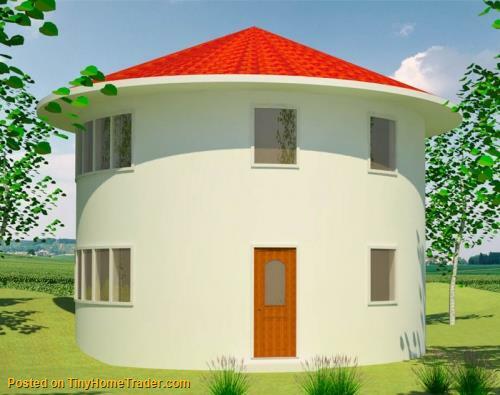 ft. total, 1 bedroom, 1 bath; footprint: 27' diameter.